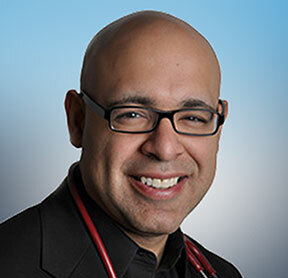 I sat down to interview Dr. Geovanni Espinosa, N.D., L.Ac, C.N.S., about his new book: Thrive Don’t Only Survive: Dr. Geo’s Guide to Living Your Best Life Before & After Prostate Cancer. Dr. Geo is a renowned naturopathic doctor recognized as an authority in integrative management of male and urological conditions. Dr. Geo is the founder and director of the Integrative Urology Center at New York University Langone Medical Center (NYULMC), a center of excellence in research and integrative treatments for urological conditions. Clear Health Now: Dr. Geo, congratulations on the new book: Thrive: Don’t Only Survive. Can you tell us a bit about the title? And I thought, “Well that is completely true...”. So I added “Only” to the title to help clear that up. Obviously I want everyone to survive! I’ve been treating prostate cancer for over a decade and seen thousands of patients. My general lesson with prostate cancer is diagnosis is a great opportunity to live a better life after your diagnosis. You know how most people are: we really don’t care for ourselves well until we get hit over the head with something. Now, while 30,000 men in the U.S. die every year from prostate cancer, most men do not die of it. Oftentimes they actually die with it, not from it. It’s the perfect opportunity to make some serious changes. So this is a “How-To” book. There is a prescriptive dose of every element of your lifestyle that makes it a hostile environment for cancer cells. Clear Health Now: Yes, often people will wait until the kitchen is burning down before they fireproof the house. Would you say that while this book is focused for men with prostate cancer, it is also a valuable tool for those who don’t have cancer of any kind? I would be ecstatic if men would pick it up and start the plan before they had cancer. But as I mentioned, my experience with men shows me that they aren’t very proactive. For every 50 patients I see, maybe one is there for prevention. Men who are “healthy” would be even healthier by taking the advice of the book and of course more likely to prevent cancer in the first place. The strategies in the book work for everyone, is pretty much what I’m saying. It covers the full spectrum — for the cancer-free, all the way up to stage-4 cancer, here’s what you need to do to thrive. Clear Health Now: Yes, I think of myself personally, often my wife will be the one who points things out to nudge me to do something. Since we can be pretty stubborn, would you recommend your book to the loved ones and family members of men? In the book I have sections “Life to Your Partner.” The person’s partner needs to help guide them. Especially if a patient has to have a prostatectomy — he can end up feeling like “less of a man” in some cases. That’s why the emotionally and psychological support is so important. He already feels emasculated, let’s not be say, overbearing, and try to protect him too much. But you need to support him intelligently. I give that kind of guidance in the book. So the book is a great guide for partners. I like to think that I teach men what do it, how to do it and why you’re doing it. It’s really a blueprint. I’ve read every book on this subject, and this book picks up where some others leave off. Clear Health Now: So, I know there are a lot of misconceptions about prostate cancer. Do you find that a lot of your patients coming in with myths about the disease? Dr. Geo: Yes indeed, I hear it all. Some people think it’s a death sentence, and think it’s far more dangerous than it sometimes is. On the other hand, some people don’t take it seriously enough. There’s so much conflicting information on the Internet, that I’m not exactly surprised... oftentimes its hard to tell the difference between the good and bad information. 70% of men who are treated for prostate cancer — roughly — oftentimes don’t need to have it treated — no surgery or radiation. The question becomes, who are the 30% that do. Even beyond that, if we don’t create a micro-environment, the biological soil where your prostate is, if that environment is not inhospitable to cancer, oftentimes there is a recurrence of cancer after it is treated with surgery or radiation. Once you get prostate cancer, you own it. You should never feel too cocky. Being too cocky never works — you have to be diligent. Clear Health Now: You mention in the book that just because you have prostate cancer, that isn’t the end of things. You body could be “cancering” and the prostate cancer is a symptom of something larger. Dr. Geo: I oftentimes say that I never have a prostate walk into my office — I have a man with a prostate. The idea is that is there is cancer in the prostate, wouldn’t it behoove us to ask “Hey, there might be cancer percolating somewhere else in my body. It’s one system, it’s one body. It’s one biological soil. That’s why we use the term “cancering” and we want to make sure a patient not only doesn’t get prostate cancer, but any other type of cancer: colon cancer, kidney cancer, brain cancer. So yes, sometimes prostate cancer is a red flag that other things are going wrong inside your body. Clear Health Now: It’s kind of like a car. You may have a misfiring piston, but it turns out that you’re not getting regular oil changes. So while that may be the first symptom, left unchecked, you could have an entire engine failure. You have to think of these things in terms of an entire machine. Dr. Geo: Exactly, and not only do you not want to look at the individual part, you also don’t want to treat it as just one thing, or just one tool. You really need to do it all. From a lifestyle and natural health perspective, you want to exercise three hours a week – that’s the dose. You want to eat a lot of cruciferious vegetables — broccoli, cauliflower — that’s the dose. You want to take certain supplements that are very helpful in creating that hostile environment for cancer. You want to sleep more and manage your stress levels. Do you need to be perfect all of the time? Of course not. But you want to find out where you are most unbalanced. Personally, if I don’t sleep enough, I’m a mess. And my body will send me a ton of signals to tell me that: a frontal headache, or irritability, or I send an e-mail that is more aggressive then it needs to be. I think we’ve all done that — you hit send and then regret it immediately. That’s when I know I need to get myself some more sleep. You just have to do the best you can in all of the different elements to stay well, and cancer-free. Clear Health Now: You introduce a holistic routine called the CaPless method. Can you elaborate on what that is. Dr. Geo: Sure. CaPless is an acronym for the entire program. CaP stands for carcinoma of the prostate. L is for lifestyle, E is for eating and exercise, S is for sleep and stress management, and the final S is for supplements. It’s a very systematic, science-based approach, for the prevention and management of prostate cancer. We know that active surveillance is a viable option for many men. That’s where there is a diagnosis of prostate cancer, but immediate treatment may not be necessary. So, that is an opportunity to implement the CaPless method and you keep an eye on it. Why subject yourself to surgery or radiation if you don’t have to? Clear Health Now: Would you say that is the major difference between your methods and the conventional approach, the “slash and burn” approach. What do they get from you that they wouldn’t get from a conventional doctor or urologist. Dr. Geo: The first thing I’d say, I’m agnostic when it comes to treating patients. I am all for whatever works and whatever will be best for the patient at my clinic. In conventional medicine, if you’re a urologist, you focus on the body from the waist down. If you’re a cardiologist, you focus on the chest. If you are a gastroenterologist, you focus from the waist up. I’ve found that the lower half of the body has an awful a lot to do with the upper half, and vice versa. The interrelationship of these systems is key to your overall health. That’s my philosophy. I like to treat people holistically. That doesn’t mean one doesn’t need surgery or radiation sometimes, but if you are only doing that and don’t apply the other things to help your body’s overall environment, we are doing our patients a disservice. They are two different philosophies -- plain and simple. Clear Health Now: You must have learned so much from your patients. Can you share a couple of stories that have really taught you the value of these techniques? Dr. Geo: I’m learning from patients all the time. Diagnosis for me is a great opportunity to make serious changes with people. One case about 18 months ago, I had a 48-year-old patient whose biopsy showed that he had cancer — what’s called Gleason 6. Gleason is a staging for prostate cancer that goes from 6-10. The higher the number, the more aggressive the cancer will be. He was very motivated to make all of the changes he needed to make. One reason is that his father was diagnosed with aggressive prostate cancer 10 years ago, and has been battling it since then. He’s never done too well physically. And at the time the son was diagnosed, his father was in really bad shape. Your whys become very important: why do I want to do this? You need to have a clear list of things in your head: your kids, your wife, your grandkids, your hobby, your bucket list... whatever means the world to you. So, this patient took the bull by the horns and lived the CaPless method 100%. One year later, he had another biopsy and the results were incredible. His PSA actually went down, and stayed down. PSA, by the way, is a blood marker for the prostate — it’s not necessarily the single best marker, but it is a tool we can use. And his biopsy came out negative. His second follow up biopsy was negative. But I would say that it works really well for prevention of prostate cancer, and certainly anyone who has been diagnosed. Clear Health Now: Thanks for your time Geo, it’s been a pleasure. Dr. Geo: Thanks Jimmy, the pleasure is all mine. You can claim your copy here.